of St. Patrick’s Church, no less than Prince Charles visited the church in the early 1990’s on an impromptu and discreet visit. 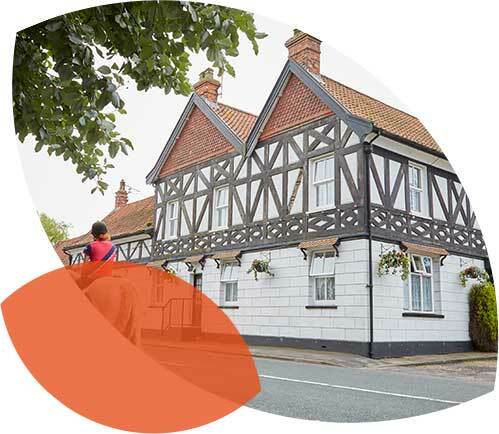 The village of Patrington also has all of the other amenities that you would expect within such a prominent town; a Post Office™, grocery & retail outlets, a veterinary service, a petrol garage and of course the popular village pub. Patrington also lies on a main bus route and enjoys excellent connectivity to the surrounding areas that includes one of the most important bird reservations for migrating birds in Europe – the spectacular Spurn Head Peninsular. Bleak House Residential Care Home sits directly on the drive of St. Patricks Church and benefits from spectacular views of the church. Bleak House also has a superb walled garden setting allowing privacy and security for our residents whilst providing stunning, unmatched views of the church.